So WOJ just reported that Kwahi wants out of Spurs and he prefers to be traded to Lakers. Think things are strangely falling into place for big trade, plus James and whoever else. If Kwahi sticks to his guns and literally tells every team, he will 100% not resign. Then the Spurs will not get any good offers for him, just to be rented for a year. That way the Lakers don't have to give up much. He really needs to stick to his guns on coming here. I'm not for giving up a bunch for him. But the chance of anyone of our core being as good as him is slim, so in my eyes, it worth giving up something. It's sure starting to seem that way. This is escalating very quickly. Seems like its gonna happen sooner than later. I believe either of Kuzma & Ball will be shipped a** out. The Jeanie Buss tweet & Bogut tweet has been really fishy for me. I don't see any team taking Ball off of our hands. His pops is doing a good job of mucking it up....lol. I think this will happen before the draft, most likely the Spurs will get draft pick(s) and would probably want to select who they want to select with those picks. I would want to keep Ball. Great passer and defender and we don't have any other PG on our team. Aldridge makes sense. That being said, SHUT UP DAVID!!!!!!….lol. The idiot is east coast biased. Lol. Need to send some local goons to kidnap him to an undisclosed location until trade deadline. LOL!! I'd even add a future pick. If everything goes as planned, it's not like it's going to be a high pick. I hope the Lakers do not go after Kawhi. He has been injured with a Quadricep tendinopathy and that is a very serious injury. The Lakers need to bypass this super star or was before he got injured. It would be a big gamble on trading Ingram, Kuz, Randle and stretching Dengs contract. The future of the Lakers is at stake right now with Magic and Pelinka thinking this super stars will get them a championship. They better look five or six years ahead before they go after a LeBron, George or a player that only played nine games last season. It should raise a red flag right away. 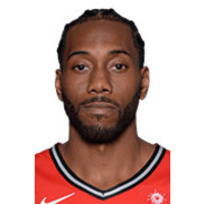 Disagree about Kawhi. James and George sure. But KL is better than George and much younger than both. He is definitely worth trading for. JJCali: How about the injury he has been recovering from all of last season? Do we want another Nash on the Lakers? Petty sure they check out injury before they trade for him. Kawhi still is under contract with the Spurs. I believe the Spurs can trade him to who ever they want. I am sure they would want the best players they can get on a trade, so the Celtics have probably the better and more experienced players then the Lakers. Does not matter what Kawhi wants, its all on the Spurs what they want. 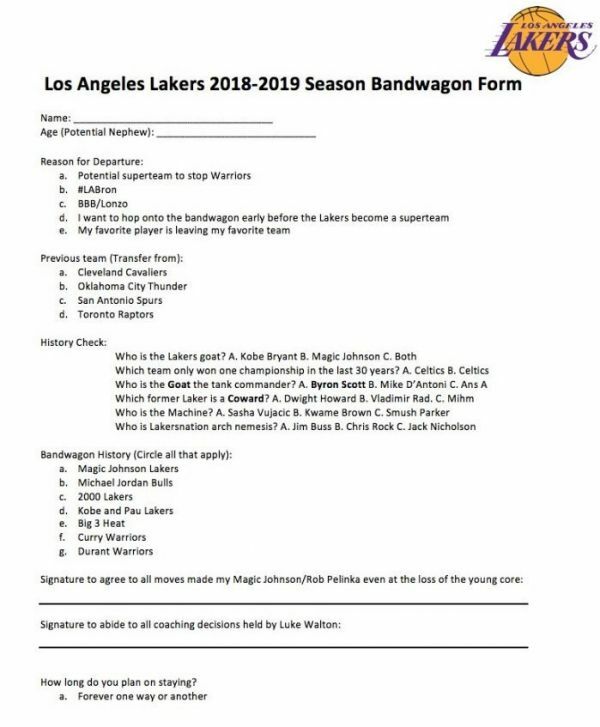 The more I think about it, the more I think the Lakers will not end up with Kawhi or LeBron. They might end up getting Paul George, but LeBron wants rings to pass Kobe and Jordan, and he is not going to get them coming to the Lakers. Not if the Lakers have to give away their young players that they have been developing for two or three years now. Lakers need to good players, not necessarily LeBron or even George and add to what we have already. I think Randle, Kuz, Ball, Ingram and Josh Hart, Caldwell Pope, Brook Lopez, Travis Wear, plus two real good players, and then just pick up some free agent role players. I do not think Isiah Thomas is in the plans for the Laker roster this coming season. Every one getting excited, all I see is leverage. Still think he signs a max deal but I'd love to be wrong! Which is why I think he using it as leverage to ensure the super max. Time will tell and as I said above I'd love to be wrong. Kawhi was at Popovich’s wife’s funeral. I don’t believe you would go to the funeral of your coach’s wife if you couldn’t stand him and were so desperate to get out. Something doesn’t add up here. Like Tempy said, I believe he’s using this as leverage. He just wants to make sure he secures that bag. Could be wrong, but that’s my feeling. There is no need to ruin an awesome GIF and hilarious joke by quoting and trying to make serious arguments while trying to make an impression you are replying to it. You can make your points without quoting. Doing this is about as bad as trying to explain a joke...All that stuff you said is not related in any way to KD and the underlying "If you can't beat them - join them" premise for the joke, my post is meant to highlight. Quoting someone's post should have a meaning - the quote forum feature is intended to allow replying to the actual content of the post. If your reply is unrelated - just post, don't quote. Never read or heard that he couldn't stand Pop, maybe he just doesn't trust Spurs organization as a whole. Something is going on there, Aldridge wanted out before last season too!!! But like Tempy said, could be leverage. They get full medical info and a physical before any trade. Obviously they do their due diligence ahead of time, in that regard. The Spurs are being copy cats....lol!!!! Kwahi has a lot of power in where he could go, if he chooses to use it. He can simply tell every single team that he will not resign with them. So what kind of deal do you think Teams are going to give Spurs for a rental? It's not going to be a very good deal at all. PG didn't force his hand by telling teams strictly he would not resign with them. He kept an open mind about it. If Kwahi forces he can play his cards the way he wants. I know what they are suppose to do, but IF that was the case, then what happened to Nash? The same mistake could happen all over again. OH WELL! No need to worry about it, the organization is going to do what they want anyways. And the way it looks it looks like all those assets that we have through the draft might all be leaving us for a quick push to get into the playoffs with Magic and Pelinka going all out after older super stars. Hope it works, what ever they decide to do. OUT! Sorry MR Apollon! I usually don't click on gif links. I misunderstood your post. I thought it had some value to it, not a gif kid thing. GSW bandwagons don’t seem too excited at the thought of their dynasty being threatened. Kwahi will end up here whether we like it or not. No one in their right mind, is going to blow their team up for a 1 yr rental. Special consideration to our cousins from the Bay Area. Lmao. Lakers are not going to dethrone the Warriors. Man I thought you were smarter then that. Warriors are pretty much secure IF they keep their core for at least four more years. Lakers need a lot of rebuilding still. I am a Laker fan, but I am not stupid to think they can beat a power house like the Warriors. IF any team can beat the Warriors, it could be the Rockets, but even them are not going to do it with D'Antony. He is all offense and very little defense. And all his offense is carried out by the Beard, Cp3 and a little by Capella. They do not share the wealth they have that could help them on offense. Even if they add LeBron to the Rockets. Ariza would be gone and so would Eric Gordon. Dude I have some friends I'm going to give this too. They swear they are Laker fans but follow LBJ wherever he goes....ROTFL!!!! Well I guess if he comes here, they'll be Laker fans again..lol. With Cp3 healthy, they probably would have done it this season.